Smooth feeding is mandatory! SGM Tactical is in the business of manufacturing durable Magazines that feed flawlessly, fit perfectly in your firearm, and last for years. Each Magazine goes through a rigorous testing process with a variety of ammo brands and is backed by a lifetime "no questions asked" replacement warranty. This 33-round Magazine is made from DuPont composite/glass-filled polymer and features a stainless steel spring. 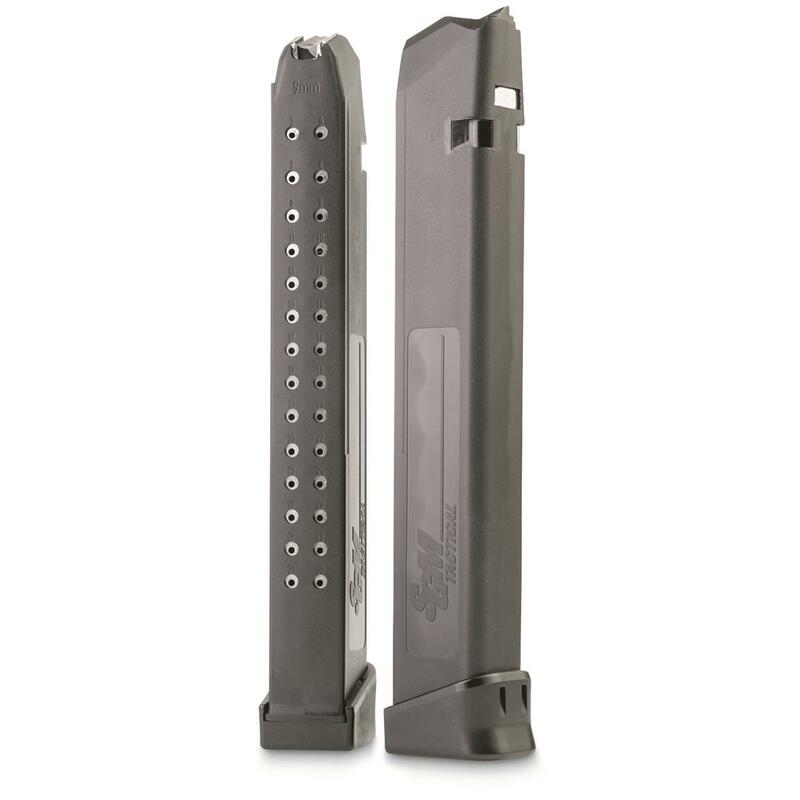 Magazine fits all Glock 17, 19, 26 and 34 pistols chambered in 9mm. 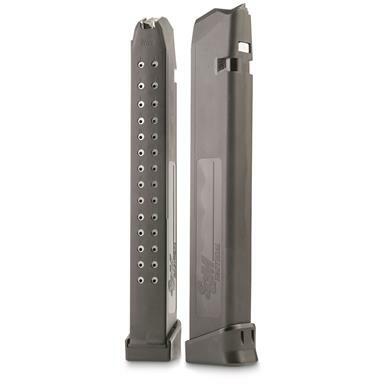 SGM Tactical, Glock 17/19/26/34 Magazine, 9mm, 33 Rounds is rated 4.5 out of 5 by 8. Rated 5 out of 5 by Tribi from Glock Magazine This fits my Glock 17 and my Glock 26 perfectly. Great use for target practice as reloading is no longer an issue. Rated 1 out of 5 by Efiniracing from Bad product - doesn't work I just used mine for the 1st time last week and the gun wouldn't cycle. The bullets kept getting stuck pre-chamber. I bought 2 of them and they both didn't work. I went back to my stock magazines and the gun cycled fine. Because I waited 3 months to try the product, now I can't even return or exchange the item. If you do buy these, I would recommend trying them out right away so that you can return them if they don't work. Rated 5 out of 5 by Mldsfc from Very good product for the price I was a little worried about how easy they were to load. that made me think the springs were weak. However, after leaving them loaded for 3 weeks I went to the range and fired 150 rounds thru one magazine. They performed perfectly!!! No problem what so ever. Rated 5 out of 5 by Chris from Works great Loaded up and fired 3 full clips so far and functions great. No issues. Bought another one for good measure and am going to try a 15 rounder. Rated 5 out of 5 by Rick from Great value Got 2 of these and they loaded up fine. Would buy more but already sold out. Rated 5 out of 5 by bent from Excellent quality SGM magazine feeds reliably and drops free upon release. Love these in my AR 9 build. Load up with extra firepower! Can you ever have too many? We think not.